The Marina Pilot project will include a floating dock with four slip spaces. 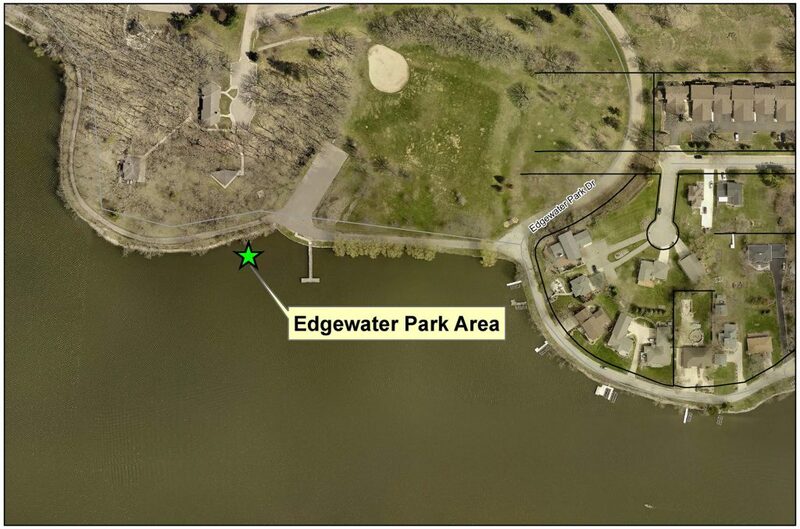 The marina will be west of the walk in gate near the parking lot at Edgewater Park. There will be a fee of $1,250.00 per slip for the season. The rental space will be for a single water craft. Docks will be reserved on a first-come first-serve basis. Once a dock space has been selected by the lessee, it will be assigned to that person until he/she fails to renew on the assigned dates coinciding with the Article II Dock Ordinance. The fee is based on equipment costs in comparison of an individual purchasing a dock and the included cost of installation, removal, maintenance, storage and dock space fees. If the pilot project is successful additional slips can be installed at a later date. The rental space will provide a convenient location for watercraft owners on Fountain Lake that desire a dock but do not wish to have the expense to purchase, install, remove and maintain each year. Lessee of the slip will be permitted to install one watercraft lift at the lessees expense adjacent to the dock although not attached to the dock which allows the floating dock to raise and lower with the water depth of the lake. Please call the Parks and Recreation office 507-377-4370.